O Sertão das Memórias (Landscapes of Memory) co-produced with Jose Araújo. 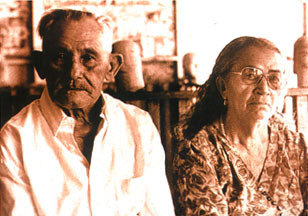 1996 Antero and Maria Araújo's story is the shortcut chosen by the director to show life in Maraima, a small town in the state of Ceará, Brazil, including life in community and the military influence. Maria wanders through the state praying to ward off the symbolical presence of the Dragon. That's when she finds Antero, an end-of-the-world prophet, who will join her in her pilgrimage and fight against the mythical being. 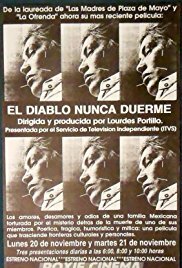 The Devil Never Sleeps (EI Diablo Nunca Duerme) co-produced with Lourdes Portillo. 1994 In The Devil Never Sleeps, Portillo returns to the land of her birth to find out exactly who her uncle was and to investigate the circumstances of his death. Imagining Indians A film by Victor Masayesva, Jr. Associate Producer, Michelle Valladares (1992) With an all-Indian crew, Victor Masayesva visited tribal communities in Arizona, Montana, New Mexico, South Dakota, Washington and the Amazon to produce this film.